Are you looking for a warm paradise island to escape to for a while? 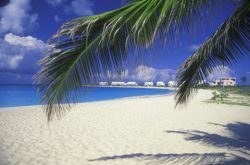 With over 35 unique destinations, the Caribbean provides a wide variety of tropical isles for all kinds of vacationers. Beach-goers will be delighted with the white sand beaches in most of the Caribbean; those in search of waves will want to head to beaches on the eastern side of those islands closest to the Atlantic, while snorkelers may prefer the calmer waters of beaches facing the Caribbean Sea. There are many other ways to enjoy the warm waters off the shores of these beautiful islands, including surfing, sailing, scuba diving, windsurfing, and swimming with dolphins! Science Daily. Monday, 22 Apr 2019 10:50:00 EDT. Zacks Equity Research. Zacks. Monday, 22 Apr 2019 11:34:00 GMT. On land, the larger towns provide excellent shopping opportunities, lush rainforests are home to hundreds of plant and bird species, and golf courses and horse stables provide some other activities. The islands also range in size and popularity; some attract cruise ships, shoppers, or families, while others are small and secluded — perfect for newlyweds on their honeymoons and for romantic annivarsary trips. All in all, there are about 50 islands in the Caribbean, ranging from small coral outcrops to large nations. The Windward Islands include Grenada, St. Lucia, Dominica, and St. Vincent. These four islands face the Trade Winds in a line of volcanic peaks, and are known for their breathtaking beaches. Because the Windwards were once owned by France, French heritage is still strong there. There is also a heavy African influence, with many islanders descendants of African slaves that were freed in 1834. Of the four islands, St. Lucia ranks as the most developed and most frequently visited, with Grenada also a tourist destination, particularly for sailors and divers. 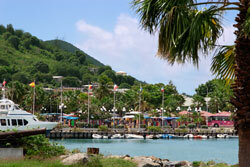 Dominica offers both nature tourism and scuba diving. Of all the Windward Islands, St. Vincent is the most untouched and least visited. The six Leeward Islands lie in two lines. The rain-forested peaks of a volcano chain include Montserrat, Nevis, and St. Kitts, and lie to the west. To the east are the volcanic ranges of Antigua, Barbuda, and Anguilla. 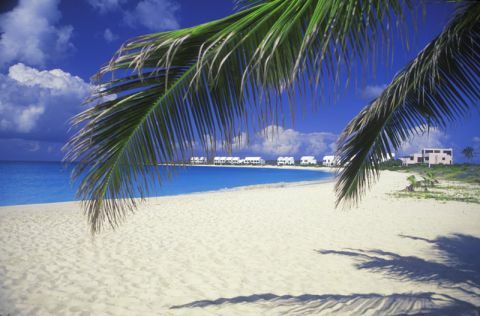 These islands are known for their coral limestone and some of the nicest beaches in the Caribbean. The Leeward Islands were British colonies for many years, but today all but Montserrat and Anguilla are fully independent. The main source of economy for the Leeward Islands is tourism, and all have something special to offer. Because of their British history, the islanders are English speakers. The Virgin Islands are divided between the British Virgin Islands and the U.S. Virgin Islands, and the division couldn't be more obvious. While the United States islands cater to tourists and offer many entertainment choices, the British islands are more secluded and quiet. There are three main United States Virgin Islands: St. Thomas, St. John, and St. Croix. Although there are many more British Virgin Islands, the two largest islands are Tortola and Virgin Gorda. Just like they sound, the French Antilles exude a French influence when it comes to culture, food, and lifestyle. They spread across 350 miles between the Caribbean Sea and the Atlantic Ocean, and include two volcanically active islands. The French Antilles are made up of two regions: the larger island of Martinique, and Guadeloupe, which comprises the six islands of Les Saintes, La Desirade, Marie-Galante, Saint-Barthelemy, and St. Martin. While tourism is a primary mainstay of the French Antilles economy, the islands are still known as some of the most peaceful and authentic islands in the entire Caribbean region. The Netherlands Antilles include Aruba, Bonaire, Curacao, Saba, Sint Eustatius, and Sint Maarten. These Dutch islands are known for their excellent beaches and some of the region's best preserved reefs. Much of the Dutch influence is still visible on the islands, including their currency, their foods, and their pastel painted and gabled houses. Also interesting is the language in the Netherlands Antilles. The islands actually have their own language, called Papiamento, which is a mix of Spanish and Dutch, with some Portuguese, English, and African influences. The other Caribbean states and Commonwealth of Puerto Rico are separated by physical distances and other obstacles. The states include Cuba, Haiti, Jamaica, and the Cayman Islands as well as Barbados, Trinidad and Tobago, and the Dominican Republic. Each of these island entities has its own government and its own culture, as well as different visitor attractions. This web site, CaribbeanIslands.us, has information on just about everything you want to know about traveling to this part of the world. Here you will find travel and tourism information about each Caribbean Island group, listed alphabetically, as well as a Caribbean map and a historical overview of the Caribbean region. These resources can assist you in comparing the Caribbean Islands and planning your Caribbean vacation. Although some vacationers cruise to the Caribbean islands, many visitors travel to the Caribbean by air, using hub airports located in Puerto Rico, Barbados, the Bahamas, and elsewhere. Outlying islands are served by smaller airports and feeder airlines. The Caribbean offers a broad selection of accommodations, ranging from local bed and breakfast inns to all-inclusive luxury resorts such as Sandals. Major U.S. hotel chains are well represented on the larger islands as well. Throughout most of the Caribbean, snorkeling and scuba diving are popular pastimes, and Caribbean vacationers should consider their snorkeling and scuba diving gear requirements when planning their trips. Travelers whose interests lean more to Caribbean sailing may wish to browse through the Sunsail website to learn about sailing classes and charters. CaribbeanIslands.us is a Chosen Sites™ information resource.